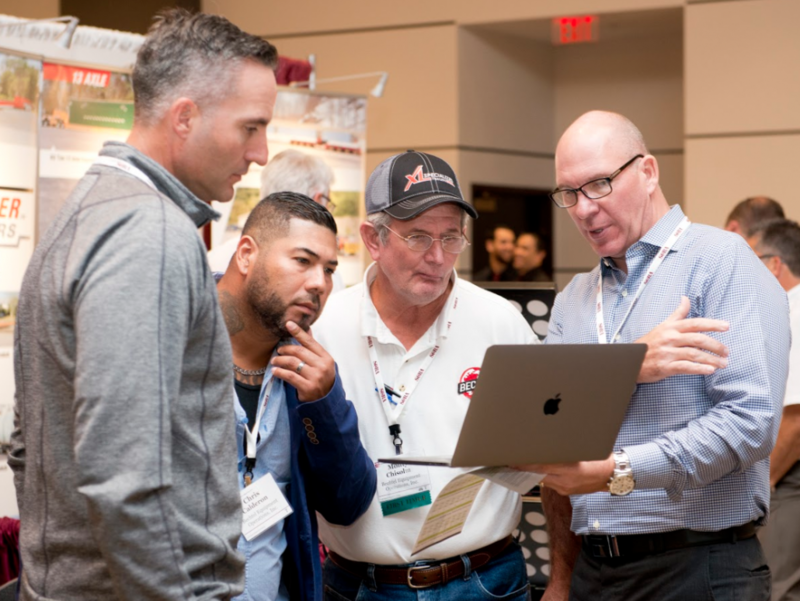 In light of the changing market and technological advances, American Cranes & Transport invited crane mat, pad and cribbing suppliers to submit information about developments in the industry and their latest products. Below is the introduction to the article, authored by Hannah Sundermeyer. “Until recently, not much had changed when it came to crane pads and crane matting for larger mobile cranes,” said Kris Koberg, CEO “Timber mats and steel dominated the landscape as the primary materials used for these products. However, site requirements related to ground bearing pressure are becoming more stringent and demands for verifiable information related to actual pad performance are increasing, along with needs to lighten loads and reduce costs,” he said. To help ensure proper use and performance objectives, DICA uses advanced analysis tools to accurately identify and present information for outrigger-enabled equipment support. 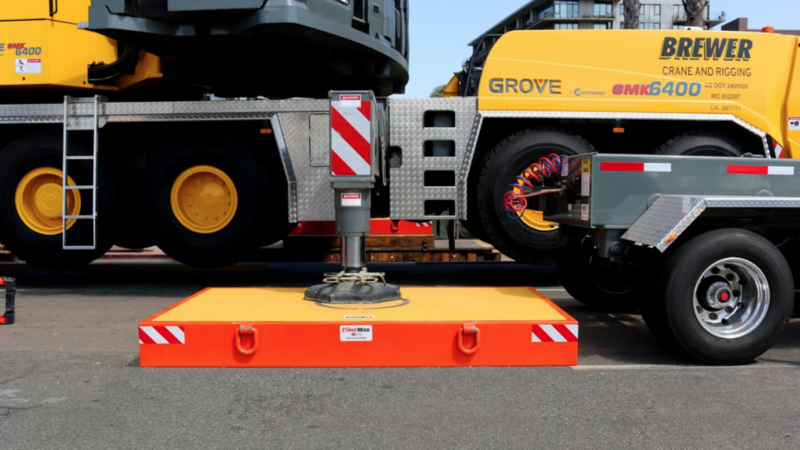 “These tools allow us to provide a realistic view of the interaction between different crane pads, your equipment, and the ground, to assist users in making informed decisions,” said Koberg. 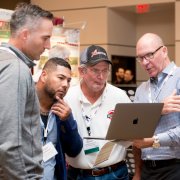 DICA’s fitting process takes the guesswork out of crane pad sizing, as an operations team from Bechtel learned at the 2018 SC&RA Crane & Rigging Workshop. DICA team members Kerry Koberg (Sales Manager) pictured far left and Kris Koberg (CEO) pictured far right. Engineered for high performance, FiberMax Crane Pads outperform traditional wood and steel plate solutions and typically weigh 60 percent less, giving users the ability to significantly reduce transportation costs, according to DICA. FiberMax Crane Pads are resistant to chemicals and corrosion and thrive in environments that degrade steel and wood. Brewer Crane and Rigging used FiberMax FM8x5x10 to setup a Grove GMK6400 that was assembling a tower crane on a job site in San Diego. DICA’s patented SafetyTech Outrigger Pads provide everyday support for mobile cranes with lifting capacities up to 100 tons. Manufactured using DICA’s proprietary engineered material, SafetyTech Pads are exceptionally strong, lightweight and easy to use, DICA said. As an added benefit, SafetyTech and FiberMax products are the only engineered pads available in A1A Software’s 3D lift planning software. 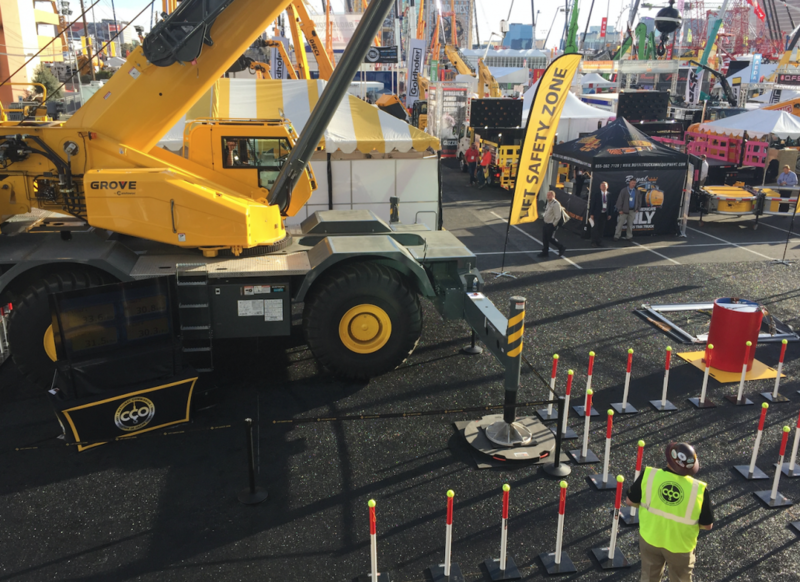 SafetyTech DR48-3 Outrigger Pads and TrainSmart Pole Barrier System were used in the Lift Safety Zone at ConExpo-ConAgg 2017. DICA’s ProStack Cribbing Blocks are the only engineered product on the market specifically designed to provide height in situations where you need to crib up. 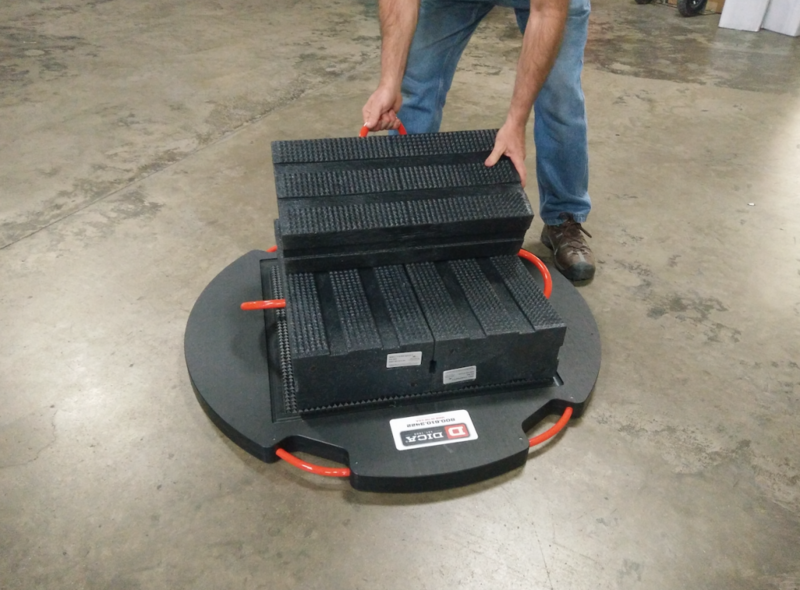 The pyramid surface of the ProStack cribbing solution interlocks with other blocks and DICA’s SafetyTech Base Pad. The entire cribbing block system is impervious to environmental conditions, can be set-up or stored in minutes, and has a rated capacity of 110,000 pounds. DICA’s ProStack® Cribbing Blocks are the only engineered product on the market specifically designed to provide height in situations that require it.